Significant update for the Historical Loblaw Groceterias building located at the North East corner of Lakeshore Blvd W and Bathurst St was announced today. Choice Properties Real Estate Investment Trust and Wittington Properties Limited, unveiled plans to revitalize and restore the original Loblaw Groceterias building to create “West Block,” an urban community that combines retail shops anchored by a 4,645 square metres Flagship Loblaws Great Food Store, with office space and two residential towers. The historical building was established in 1928 and served as the Loblaw head office and warehouse until the company relocated in the 1970s. The exterior façade of this heritage building will be dismantled brick by brick, stone by stone, cleaned and preserved, then put back together again to restore the building to its original state. 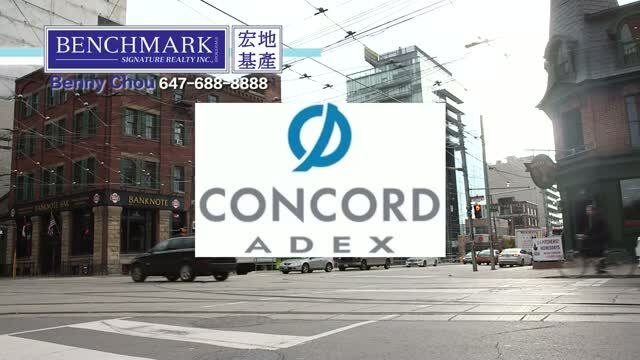 Concord Adex has entered into an agreement to acquire the air rights to the property, will be constructing two residential towers which will be 37 and 41 storeys, containing 876 dwelling units in total. Three levels of underground parking is proposed with a total of approximately 600 parking spaces. Also, under the Gardiner Expressway, a common space will showcase the culture and vibrancy of Toronto through a display of public art. Premium Integrated Refrigerator, Stainless Steel Electric Cook-Top, Stainless Steel Integrated Oven, Stainless Steel Hood Fan, Stainless Steel Microwave Oven with Trim, Integrated Dishwasher. In 1997, Concord Adex was formed to oversee the development and building of this 45-acre site, the largest residential development in Toronto. When complete it will comprise of 5.4 million sq. ft. of residential and commercial space. The Concord CityPlace community will consist of 29 towers and condominium structures in addition to town homes, which will be home to 15,000 people. To date, 27 buildings have been completed or are under construction. The focal point of this community is the $8-million, 8-acre park celebrating the history of Canada. All residences are complemented with an array of community amenities that include schools, childcare centers and fitness facilities, neighborhood shopping plus an impressive collection of public art. The presence of public art has the power to create and reinforce a sense of community, it also improves physical connections to the City by enhancing sight lines, streets-capes and urban dimensions. Concord CityPlace, with art consultant Karen Mills, has chosen a wide range of form and disciplines to inspire. 310 Bathurst Night, running northbound to Steeles and southbound to the Ex. This runs every half hour from 2 AM to 5 AM. A walk up to King would get you to the 504 King (to Broadview or Dundas West) and 508 Lake Shore (to Long Branch or Parliament) streetcars, and a walk over to Spadina gets you to the 510 Spadina (to Spadina Stn or Union Stn) streetcar.